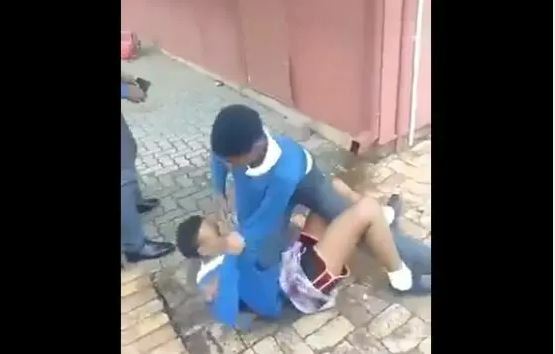 Screengrab from a video of two pupils fighting at Lyttelton Manor High School in Centurion, 19 February 2019. As parents, we must be held accountable for our children’s behaviour because who they are at school is a reflection of our control as caregivers. 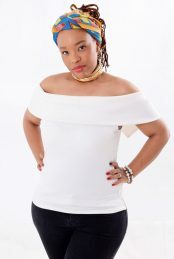 The SA schooling system is under siege: teachers are under attack, students are attacking each other, parents are physically fighting teachers and robbers are brazenly attacking schools with not a worry about the safety of the pupils. The idea that the school yard is a place of safety is long gone – school children literally have nowhere to run to. As parents, we have no assurance that once our children enter the gates of academia, for nine hours their children are in a safe environment. Uninformed opinions that turn viral videos racial, fuel a dangerous fire. I learnt teachers, while I was on school property, were my parents. They carried the very same authority as mama and papa… if I disrespected them, I was disrespecting Mr and Mrs Nakeli. That’s the way my mother handled most student-teacher conflicts. I never had to go toe-to-toe with a person of authority. Why can’t parents nowadays follow such sage advice? The violence in our daily lives has now spilled over onto school premises. Pupils beat and ultimately kill a man at age 15 – then brag about it.